Quality_Vintage_Bikes: Renovo R1 wooden bike project, part 12: Finally finished! 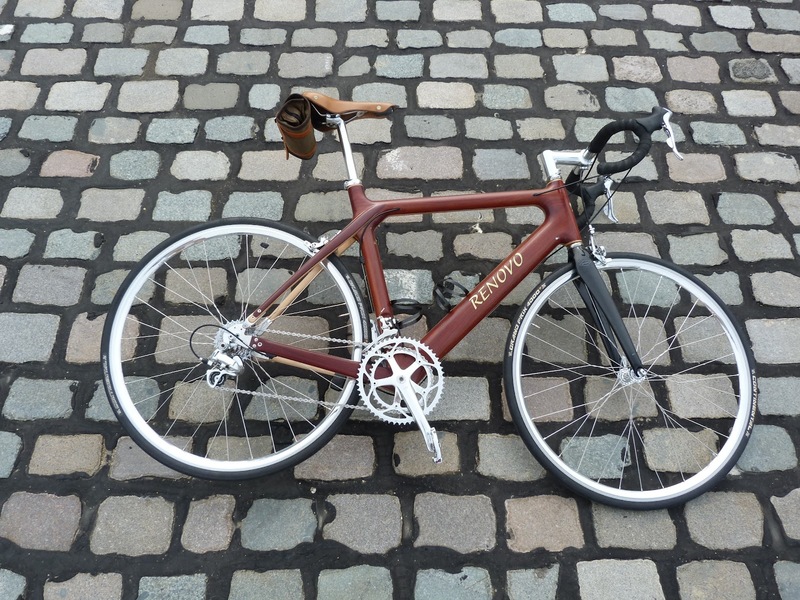 Renovo R1 wooden bike project, part 12: Finally finished! Since the Marmotte GranFondo I have hardly been on the bike, which gave me some time to gradually change some parts on the bike. Before the Marmotte I already changed the saddle. 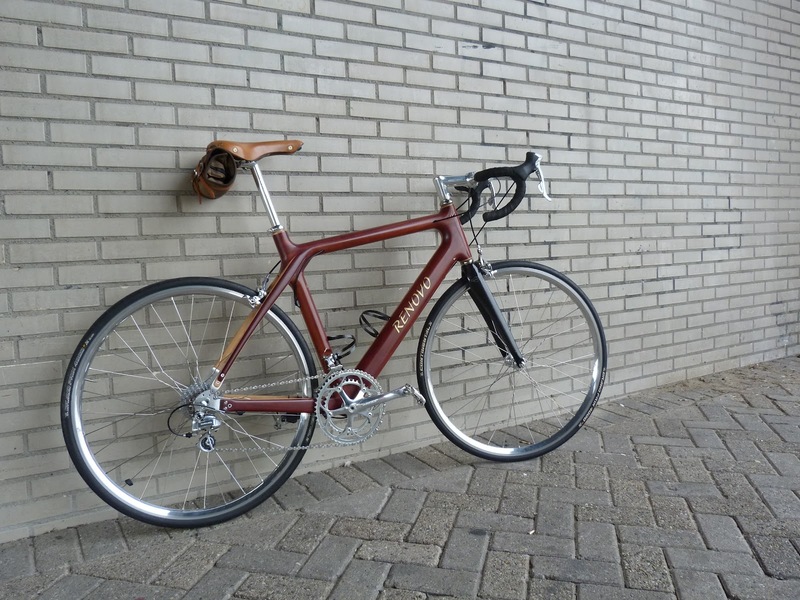 The Fizik Arione was giving my saddle sores, so I took a chance and got myself a Gilles Berthoud instead. The GB has been great from day one and I can recommend it to anyone. I can even ride it without my cycling shorts. After the Marmotte I switched the stem for a Genetic AQ to achieve a relaxed position. I also switched the U.S.E. seatpost shim for a cheap aluminium one, because with the U.S.E. shim the seatpost kept slipping. The most important cosmetic change has been the Whisky fork. The Easton fork had always been bugging me and with the Whisky I think I've finally found a fork that looks good with the frame. Other minor changes are the polished Salsa seatpost clamp, a Ritchey Classic handelbar and I also removed the decals from the H Plus Son rims. So.., well,.....eeeh, I guess the bike is finished. Finally!